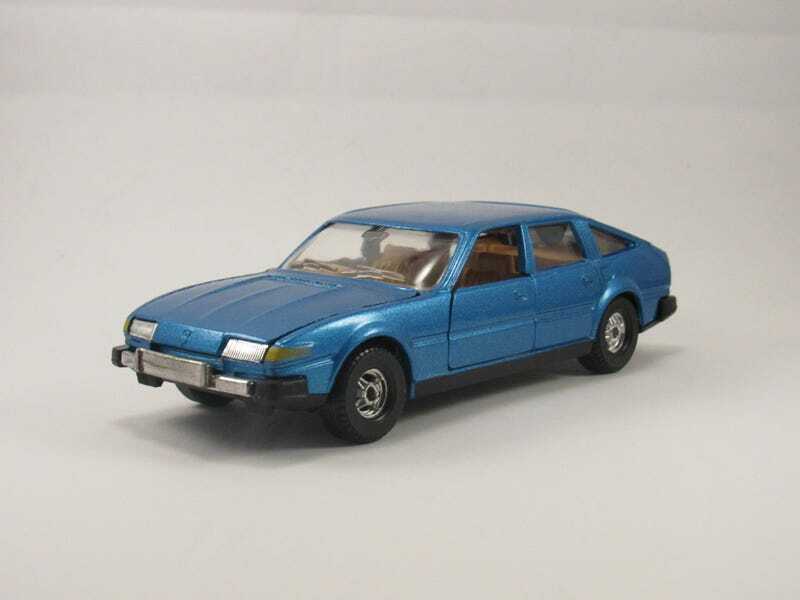 Presenting a model of the Rover SD1, the Rover 3500. I got this as part of an estate sale lot from the lot of Dennis Erickson. This was arguably the main reason why I bought the lot. It’s a Corgi from the 80s or so. This is a weird-looking car, honestly. Looks a bit like the Citroen CX. For a roughly 1:36 or so-scale car, it’s got quite a bit of detail and opening bits.